EarthQuaker’s flag-ship device! 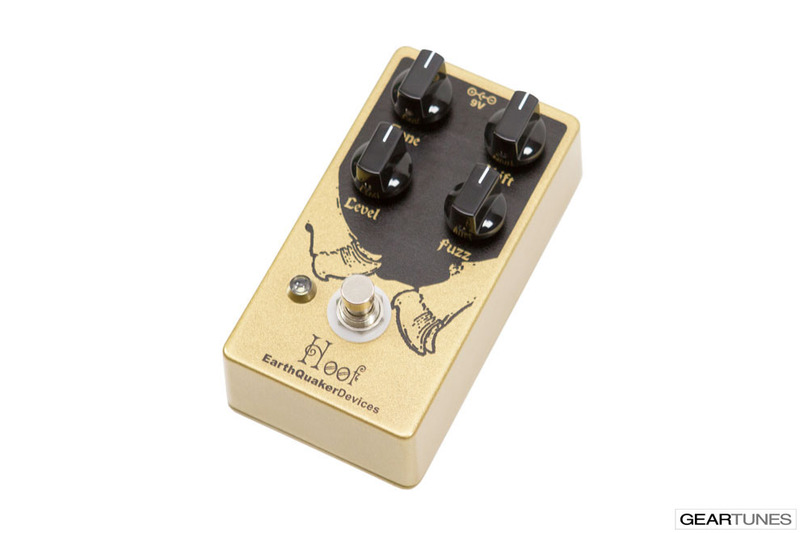 The Hoof Fuzz is a germanium/silicon hybrid fuzz which is based on character of the classic green Russian muff. 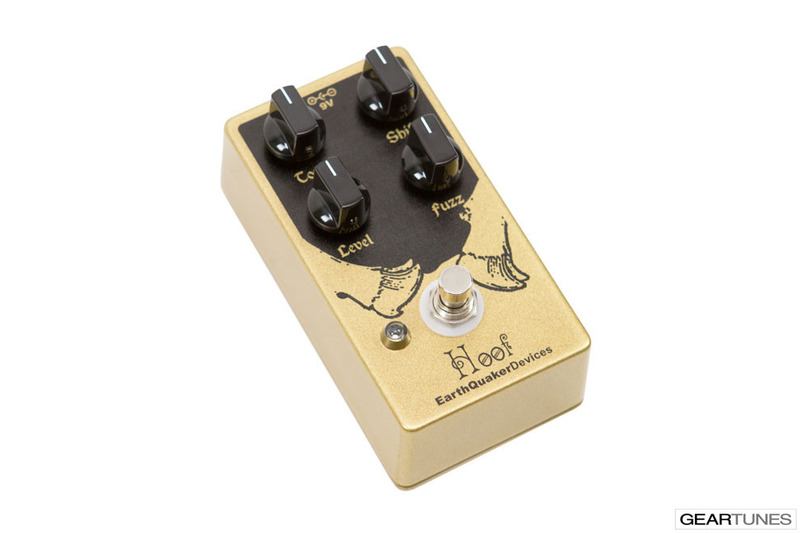 It is capable of creating everything from dirty and organic overdrive to monstrous fuzz madness. 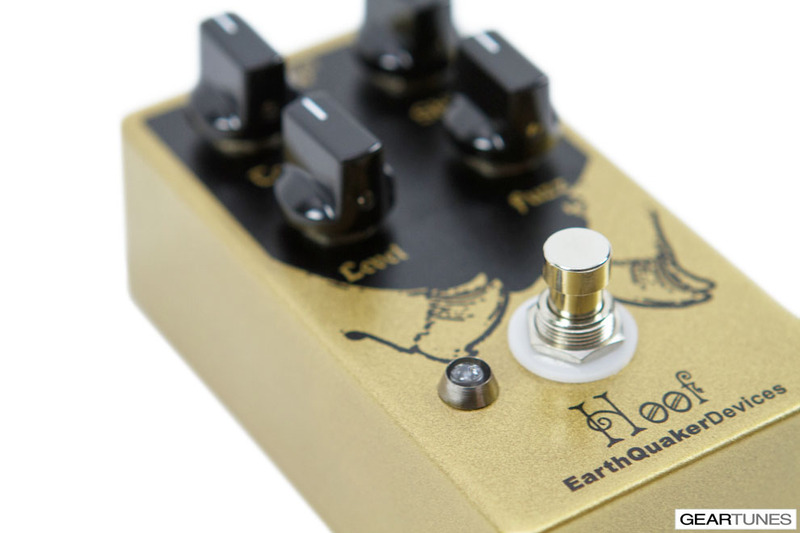 It features a smooth, natural and harmonically rich sustain that is less associated with muff style fuzzes and has more in common with an overdriven amplifier. 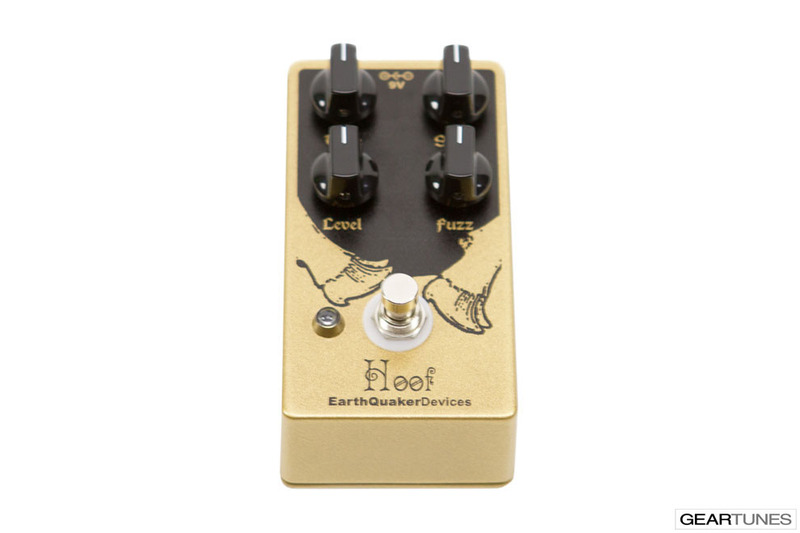 The Hoof Fuzz has some real clarity and distinctiveness that provides a tight and controlled signal that will surely be heard through the mix. The Shift control is secret weapon of the Hoof. It changes the frequency response of the tone control, primarily on the treble side, but it also diminishes any unnecessary muddiness on the bass side too. Scoop the mids or boost them- lots of tonal shaping options are on tap! 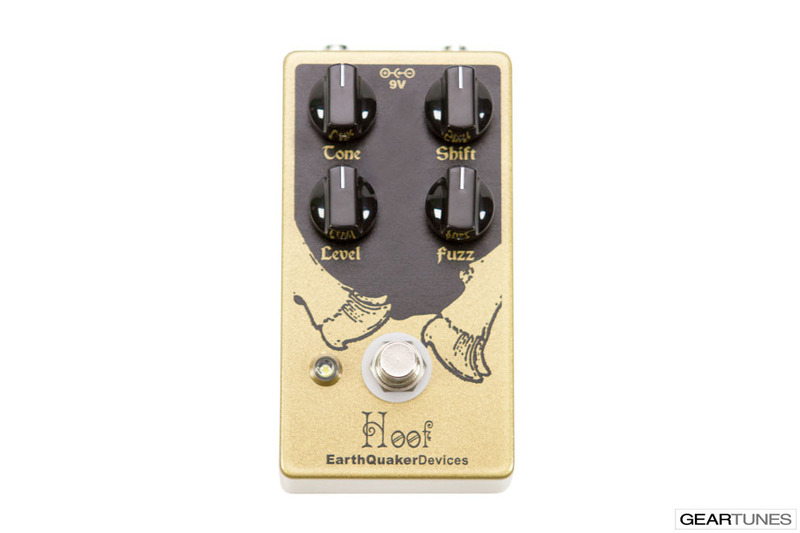 The Hoof Fuzz has become a key pedal for TONS of well known artists in both the studio and on stage. All analog, true bypass and made one at time by human hands in Akron, Ohio (the center of the universe). 9v Battery or any standard 9 volt DC power supply with a negative center 2.1mm barrel.